Today, you are a member of... Where It Counts - You Are A Member! 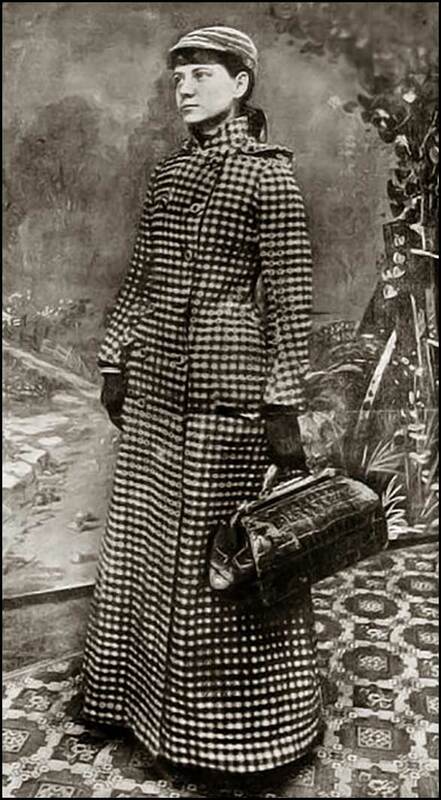 This week, Members, back in 1890, Nellie Bly returned triumphant from her global travels, besting Jules Verne’s fictional character’s record for circumnavigating the globe. And although ‘around the world in 67 days’ does not have the same literary snap to it, and indeed her record was broken a few years later, it was all the readers of Cosmopolitan could talk about at the time. With only a tiny bag full of multiple changes of underwear, she raced around the globe, rarely doing anything described as ‘leisurely’. And though this week, it may feel like you are equally pressed for time while doing what would otherwise be an idyllic task, remember that like Nellie, at the very least, you’ll be outfitted properly where it counts.